Crappy crooked parking job. 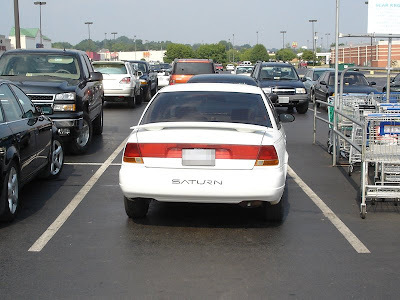 White Saturn, parked (horribly) beside shopping carts at a Kroger. after further review (and an anonymous comment) I realized this isn't that bad. Not good, but not bad. I shall revise the score!